December 21, 2012 - Gulfstream recently received two important certifications for its new flagship aircraft, the ultra large cabin, ultra long range G650. The company received the Production Certificate (PC) from the U.S. Federal Aviation Administration (FAA) Atlanta Manufacturing Inspection District Office. Gulfstream also earned a Type Certificate for the G650 from the European Aviation Safety Agency (EASA). The PC was obtained on December 20, 2012, and confirms that Gulfstream’s production processes for the G650 are in compliance with Federal Aviation Regulations Part 21. 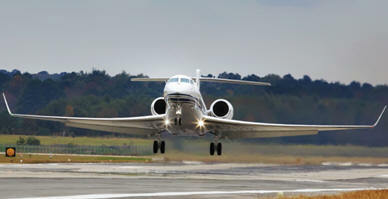 The FAA issued the PC after Gulfstream completed an extensive FAA Production Certificate audit conducted by the Gulfstream Organization Designation Authorization (ODA) office, which examined Gulfstream’s engineering, supplier, manufacturing and quality systems to assure the aircraft are produced in accordance with their design. The EASA Type Certificate was awarded on December 21, 2012. By securing EASA certification, the G650 can be registered in the 27 member states that form the European Union. “The EASA certification allows us to begin our first G650 deliveries to customers based in Europe,” Flynn added. “We look forward to getting the G650 certified in many other countries.” The G650 earned its FAA Type Certificate on Sept. 7, 2012. The aircraft also has Type Certificate validations from Bermuda and the Isle of Man. The G650 has the largest cabin and can fly farther and faster than any other purpose built business jet. The aircraft can travel 6,000 nautical miles at its high speed cruise of Mach 0.90. This is a 1,000 nm increase over the original target of 5,000 nm. At its long-range cruise speed of Mach 0.85, the G650 can fly 7,000 nautical miles. The G650 has a maximum cruise speed of Mach 0.925, making it the fastest certified civilian aircraft in production. The G650 is also environmentally efficient. Each of its two Rolls-Royce BR725 A1-12 engines provides 16,900 pounds of thrust, yet the aircraft burns less fuel and produces fewer emissions than other aircraft. It is also extremely quiet, with certified noise levels 17.2 decibels below Stage 4 noise regulations.